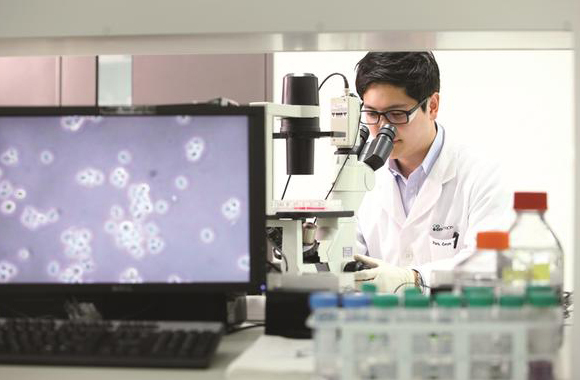 Celltrion was the largest R&D investor among Korea’s major pharmaceutical and biotech names last year, data showed Wednesday. 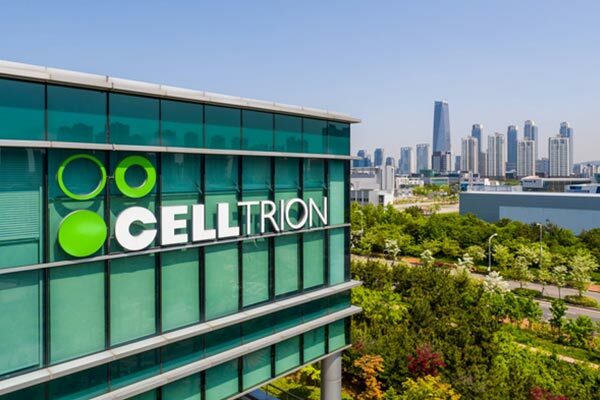 According to business reports submitted by the top 20 players in the sector in terms of annual sales, Celltrion spent 288.8 billion won (254.5 million), or 29.4 percent of its revenue, on R&D activities. It was ahead of peer companies both in absolute terms and as an R&D share of revenue. Celltrion is leveraging its proven biosimilar capability to venture into novel biological and chemical synthetic drugs. Hanmi Pharm came second with 192.9 billion won on R&D spending, or 19.0 percent of its revenue. The company was followed by Green Cross with 145.9 billion won (10.9 percent), Daewoong Pharm with 123.1 billion won (13.1 percent), CKD with 115.3 billion won (12.1 percent) and Yuhan with 112.6billion won (7.4 percent). Dong-A ST spent 76.8 billion won, or 13.5 percent of its sales on R&D last year. Dong-A ST ranked seventh in absolute terms but it was the third largest R&D investor behind Celltrion and Hanmi Pharm in terms of a share of revenue. Other big R&D spenders were Ildong Pharm (54.6 billion won, 10.9 percent), Boryung Pharm (33.3 billion won, 7.2 percent) and Korea United Pharm (26.8 billion won, 12.7 percent). 1S. Korea’s exports in April likely to extend losing streak for 5 strai..
5Coupang sales up 65% on year to record revenue in 2018 on widening los..
6S. Korean companies turn optimistic about their business in China in Q..